Aren't these Halloween plates fun? 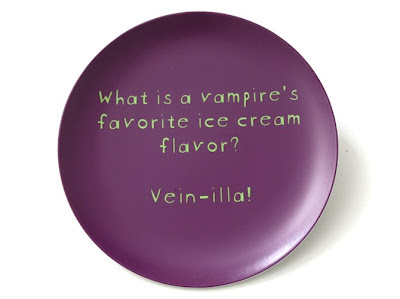 They would make a great hostess gift this month... or a fun birthday gift for someone who has a birthday near Halloween. 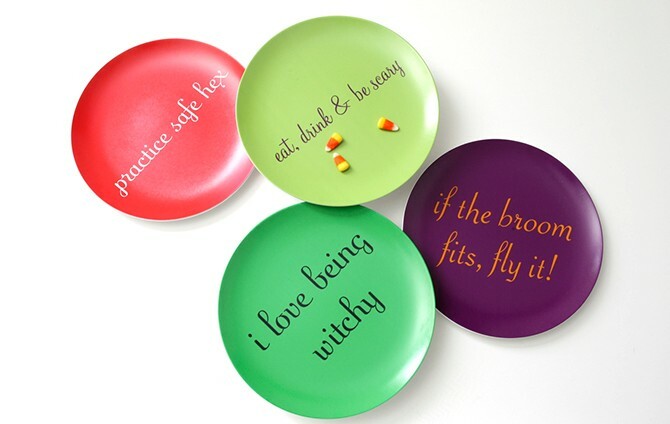 You can make your own plates and customize as you like. My aunt's birthday is on Halloween...she would love these!